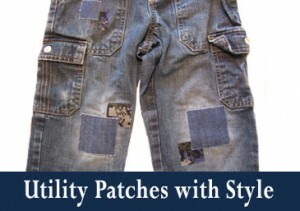 Iron Patches for your Hole-y Jeans Giveaway! 2 Winners! At first I thought with the second child, second time the jeans are worn, would make them wear more. Of course that is true, but this child seems to LIVE on the ground! He runs, slides, crawls, always on the move. He is very hard on his pants! And the holes have started to appear. 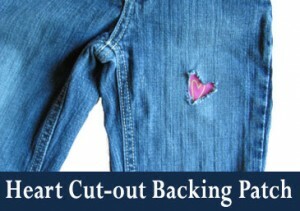 I began a stack in his room of jeans that he could still fit into to, but they had these darn holes in them and he couldn’t wear them to school. What should I do with them? I did not want to through them away! These simple little jean patches arrived and all I had to do was iron them on for 45 seconds! 60-Day Money Back Guarantee because they are made to last! Backing Patch. Is your favorite pair getting worn and you want to preserve them longer? Add this patch to the inside! 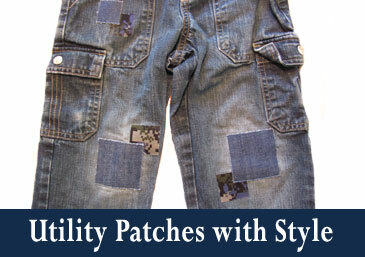 Iron Patches are very reasonably priced and always offer Free Shipping! It’s already happened. The change of weather makes my nose sniffle, my throat scratchy, and my head to hurt. Actually, I think the boys get it first and then pass it on to me. I told Hubby I’d pass it on to him, but he always refuses to believe he’ll get any kind of sickness. Why? Because we try to take these steps to stay healthy! 1) Get Adjusted by a Chiropractor!! This is numbero uno and we are firm believers. As soon as we feel any type of sickness coming on, Hubby gets out his portable table for a back and neck adjustment. Visit your chiro regularly. You will definitely see the difference! 2) Wash hands. Kids being around other kids at school can lead to nasty germs. Before each meal I gently remind them to go and wash. I buy fun soaps to make this more pleasurable. 3) Anti-bacterial hand gel comes in great little sizes. 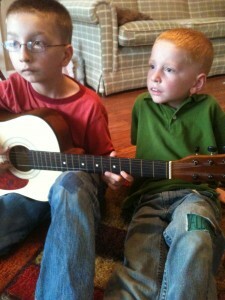 I have one attached to my diaper bag and sometimes the boys keep on in their school bags. Great scents from Bath & Body makes us want to wipe our hands down. 4) We do NOT get flu shots and believe this can make you more sick in the long run. 5) Sneezing in you the crook of your arm. Did you know that I didn’t even know this trick until my kids started school. It was always sneeze in my hand to not spread them around and then go wash them. But your arm is better because it doesn’t touch anything else. 6) Taking a daily vitamin I think is important to stay healthy, but staying healthy with all the food groups is important for your body. 7) Exercise is something that can be done daily and keep your body functioning like it should. Even if the kids have a slight fever, but feel well enough to shoot some hoops outside. I let them. The sun is good too! 8) Extra measures like Echinacea and extra Vitamin C are taken if we do feel something coming on. We keep lots of orange juice in the house at this time! 9) No medicines for us, unless someone is really bad. We take homemade elderberry syrup, hot heating pads, and other natural remedies to make us feel better. 10) Keep the weight off. I keep gaining a little weight each other and know I am not as healthy as I should be which leads to more colds every season. Those are the tips of what my family does! How does yours differ?